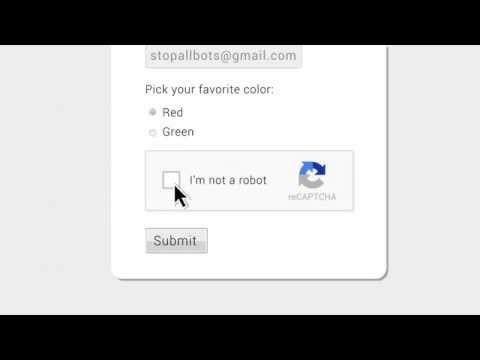 reCAPTCHA (yes, that’s how it’s spelled), is Google’s adaption to the CAPTCHA interface. CAPTCHA is an acronym which stands for Completely Automated Public Turing test to tell Computers and Humans Apart. This free service is a computer program that is supposed to detect and distinguish automated input, generated by machines (website extraction scripts, spam bots, etc.) from humans. In this post I will explain what the function is, how it’s different from the traditional Captcha and how to activate it on a classifieds website created using Yclas. Typically the interface was based on a challenge-response type of test, that would determine whether or not the user is a human. 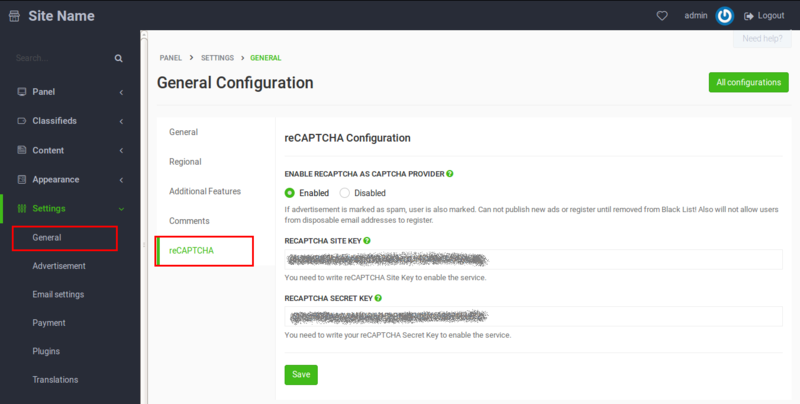 However, the new reCAPTCHA variation (at the time of this post) makes use of an advanced risk engine, with an API that allows a significant number of your site’s valid users to ‘pass the reCAPTCHA challenge without having to solve a CAPTCHA’ – by clicking on a checkbox. If the program is still not satisfied or sure, of whether its user has a pulse; it has the added advantage of sending out a request for that user to solve a CAPTCHA. To find out more about this service – you can check Google’s description of the feature. How does it work with Yclas? Yclas 2.3.0 version and those that come after have made it seemingly easy to integrate this service. With the code already built into the software, all our users have to do is get a reCAPTCHA Site Key and a reCAPTCHA Secret Key. TIP: Make sure that you log into Gmail or any other Google product, with the email account that you want to associate these keys with – before getting them. You can get both from Google here for free when you register your site;Please use v2 of recaptcha keys. Select Settings -> General -> reCaptcha. Toggle the Enable reCAPTCHA as a CAPTCHA provider option ON. ✔ The change is successful – general configuration updated. Head over to your Admin Panel and continue making your custom changes and give your classifieds site the look it deserves. How to Change your Landing Page? How to Configure ElasticEmail on Yclas? How to activate Access Terms Alert? Remember that to get those awesome tools you can download Yclas for free at our get started with your classifieds website page.